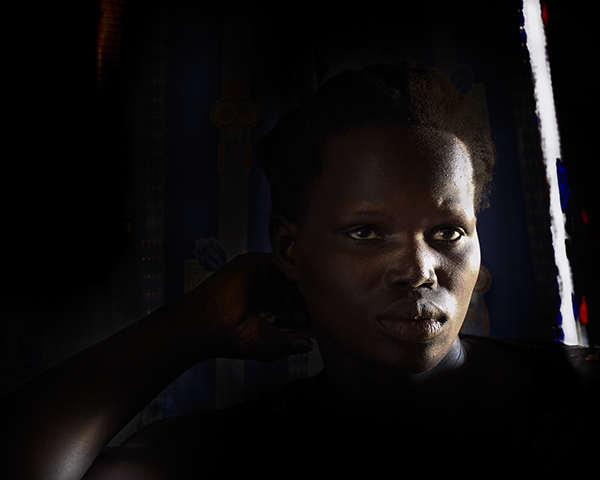 © Eberhard Riedel, "Lost Youth - Former Child-Soldier, Uganda 2010"
This woman told me, "I was nine years old when I was abducted [in 1994]." LRA rebels held her captive for fifteen years in northern Uganda, southern Sudan and eastern Congo before she could escape in June 2009. Currently the abductions and abuses inflicted upon the population by the LRA are continuing in neighboring Congo, Central African Republic and South Sudan.